Our web streams relay all live programming in excellent HQ stereo during all broadcasts on Shortwave, Medium Wave and FM. Outside our live broadcast times the High Quality web stream is online 24/7 with a selection of the best and most memorable music from 'the Golden Era of Offshore AM Radio'. ATTENTION: 3 older webstreams we used are discontinued as of June 10 2018. Or... turn your PC into a professional Shortwave radio receiver! You don't need a radio to listen to any station on Shortwave. There are radio receivers on the internet that you can control from your own computer (no software installations). More info here: your personal online Shortwave receiver (webSDR) on the internet. 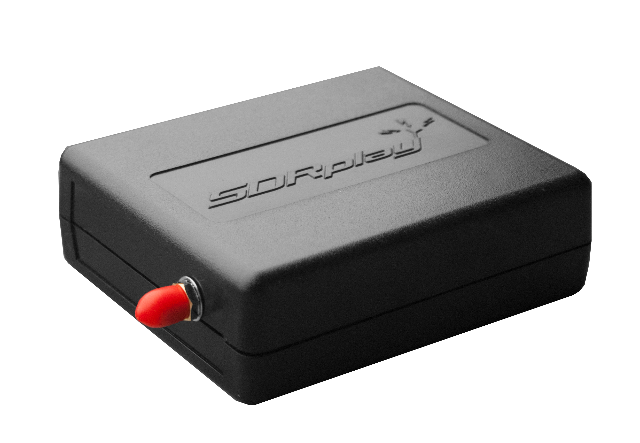 SDRplay: the only wideband radio receiver you'll ever need..! Software defined Radio, or SDR is the latest way to access the Shortwave bands in the modern day. SDR Play is today’s leader in the field of SDR Radio. With fully integrated design and a very user friendly display SDR play is at the forefront of this new technology.